This Mt. 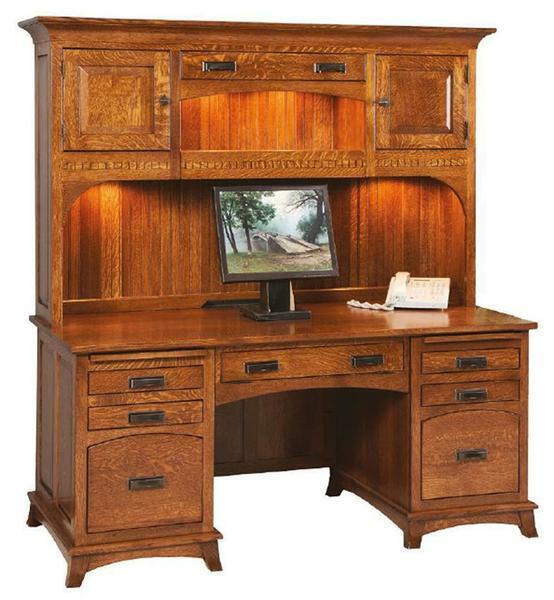 Eaton Mission style Executive Desk is the ultimate in solid wood office furniture and is sure to become the centerpiece of your work space. With unique features such as a hidden pullout drawer in the hutch top, hidden lights in the top hutch drawer, an an optional built-in USB/Outlet charging station, you will be proud to call this amazing desk your own.